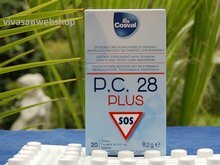 PC 28+ from Cosval is a natural pain reliever against pains and headache - Vivasan Webshop English - World wide delivery Vivasan Official Webshop® is specialized in shipments to the UK, Ireland and Scandinavian countries. Best prices! P.C. 28 Plus from Cosval is a dietary supplement with Feverfew Chaste tree, Devil’s Claw and Magenesium. 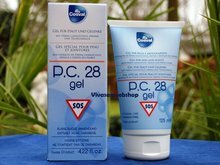 Physiological effect: PC28+, vitamin B6, may favorably act on the function of the nervous system. d.e. from Feverfew (Tanacetum parthenium L.) plant parts above the ground (29.3%); Magnesium oxide (20.7%); - d.e. from Chaste tree (Vitex Agnus-castus L.) fruits (19.5%); Acidifier: Tartaric acid; Flavour: dehydrated Orange; d.e. from Devil’s claw (Harpagophytum procumbens DC.) secondary roots (4,9%); Antiacid: Sodium bicarbonate; Thickener: Crystalline cellulose; Fructose, Sweetner: Sucralose; Vit. E (D - alpha-tocopherol), Vit. B6 (pyridoxine hydrochloride). Extracts containing maltodextrins with anti-caking agent function. 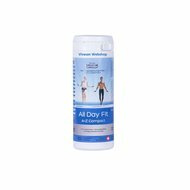 2 tablets per PC 28+ daily, to dissolve in the mouth or to be swallowed, as required. Feverfew 240 mg, Chaste tree 160 mg, Devil’s claw 40 mg.
Vit. E 10 mg (83,3% DRI), Vit. B6 2 mg (142,8% DRI). 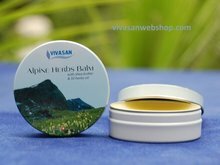 Magnesium 100 mg (33,3% RDA). Store PC28+ in a cool dry place (< 25 °C). Keep out of the reach of children under three years. Herbal supplements should be used as part of a varied and balanced diet and a healthy lifestyle. Do not exceed the daily recommended dose.